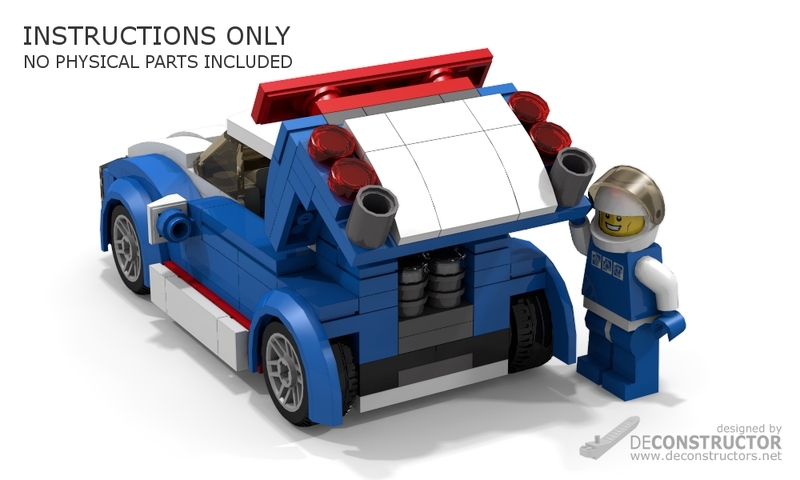 Inspired by the design of the official LEGO® Creator set 31027 called Blue Racer, here is the scaled out version of the primary model of the set. 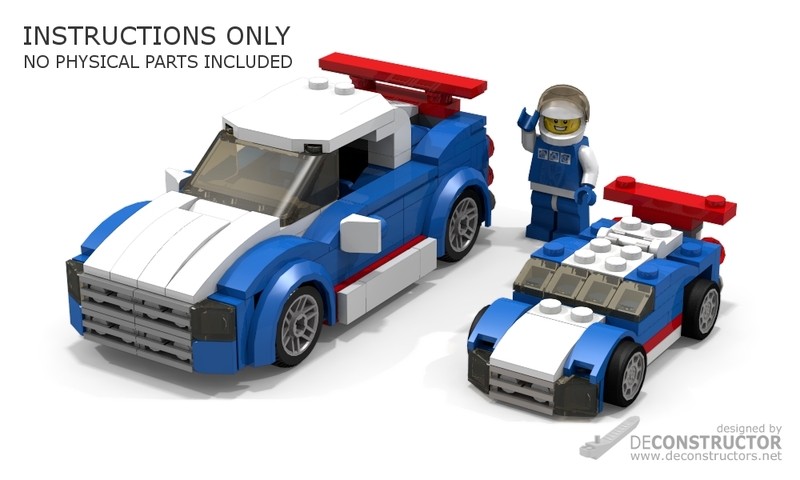 Leveraging the original design and functionality of the official primary model, Blue Racer Scale-Out MOC is completely re-built in a minifig-scale. 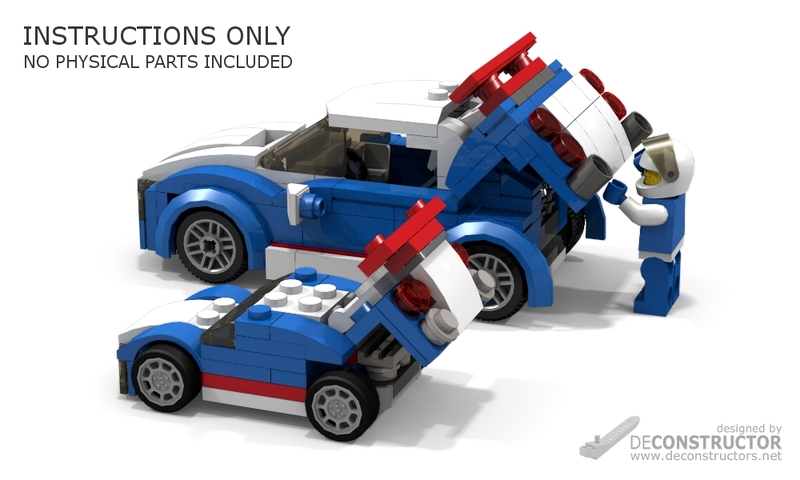 This model consists of 181 parts, excluding the minifig and excluding the original car model from the LEGO® Creator set 31027, which is shown in the image for scaling and comparison purposes only. The purchase includes a step-by-step, easy-to-follow building instructions sheet in PDF format, another PDF with a detailed Parts list as well as a TXT file in XML format for an easy upload to your BrickLink wanted list.